Life Force is one of the world's first paperless clinics since 2007. 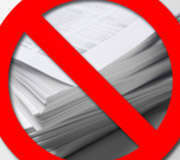 Yes, at all Life force clinics, we do not write medical history, reports and other important documents on paper. Almost a decade ago, Life Force introduced a system that allowed all our patients to have a life-long account with us, which allows them to have all medical records handy, using a cloud-like system. This system allows them to contact us 24/7 for medical help. The Patient Support System (PSS), as it is called, allows our patients to maintain all medical reports digitalized and stored in such a way that they are accessible from anywhere in the world, even by using a smartphone. This simply means that we use technology innovations to care for our patients!